Ughhh, shoot me now, another article on Trump. But, a change in government means a potential change in the management of heritage so we need to discuss it. There is a lot to talk about on the subject of heritage and the new administration but I want to take on only one potential issue for archaeology in this post, Trump’s proposal to build a “Border Wall” along the US-Mexico border. Howard has written about it (The Trump Wall in Archaeological Perspective), The Women in Archaeology Podcast had a special episode that mentioned it (Nasty Women in Archaeology Special Episode 12.5), Kristina discussed it in the spring before it looked like a reality (How Trump’s Wall Would Trample Hundreds Of Archaeological Sites) and that does not begin to cover the conversations that have been happening on Twitter and Facebook. Most archaeologists are concerned about what “The Wall” will do to archaeological sites — I have some good news and some bad news about the border wall. First, let’s start with the bad. It’s Worse Than You Thought! There is a saying ‘It’s not the fall that kills you, it’s the landing’. To horribly mangle that saying in a not very clever way- it’s not “The Wall” that will destroy archaeology it’s the support roads. For every mile of “Wall” there will probably be 10 miles of support roads, if not more. There is not a single road running along the US-Mexican border that one can take to reach all areas of the border. To actually make it to the border one has to take many different roads, in most places that is a single track dirt road. To get bulldozers, trucks, cranes, people, etc. to the border to build “The Wall” those single track dirt roads will need to be bladed, expanded, and in some areas probably rebuilt and reinforced as they go over Arroyos (waterways that are only active during flash floods or part of the year). This is not a 2,ooo mile long project, this is a 10,000 mile+ road and wall project. Which means we are not looking at a few hundred archaeological sites being destroyed, we are looking at thousands. Then right after the election it changed from a “wall” to a “wall” and some fencing. Then it went down to 400 miles. There is a reason I keep putting “The Wall” in double quotes. Don’t get me wrong, I full expect to see a wall built along the border. We have seen how Trump operates with “saving” jobs in Indiana. I would be willing to bet that he will take photo in front of a newly built wall along the border but how long that wall is…? You guess is as good as mine but it is looking to be only a couple of hundred miles, if that. I am guessing they will build a small section near a town, Trump will fly down, get a photo taken (post it to Twitter) and that will be that. Usually, archaeologists are pretty excited about construction by the Federal Government. There is the obvious reason – it means paying work to survey and, if necessary, excavate archaeological resources. Furthermore, much of the border area is not well researched so this has the potential to greatly increase our understanding of many under researched areas of the US. In 2005 the Real ID law was passed. Why do we care that a law about IDs that was passed? Well, because part of that bill waved all laws that would normally apply to building border barriers. This means the Endangered Species Act, the Migratory Bird Treaty Act, the National Environmental Policy Act, the Coastal Zone Management Act, the Clean Water Act, the Clean Air Act, and the National Historic Preservation Act, etc. etc. don’t apply. That’s right if Trump builds his “wall” no archaeological work will be required… at all. So even if it is only a few hundred miles long, with the support roads it will destroy hundreds, possibly thousands of archaeological sites. At first glance that seems to be a horrendous outcome for archaeology, except that all of the border Wall area has already been surveyed and some of the archaeology has been excavated. Do you remember the Bush “Border Fence”? Yes, all the way back in 2006 the Secure Fence Act was signed by Bush, to build hundreds of miles of border fence. After of course passing the House, and in the case of the Senate a 80-19 vote. For those of you doing the math in your head, yes, 80 out of 100 votes means that more than half of Democrats voted for it. Oh, and recent Republican Presidential Candidate Rick Perry, now potential head of the Department of Energy, but you probably know him from Dancing with the Stars, criticised the fence in a speech delivered in Spanish. Oh, what a difference 10 years makes. 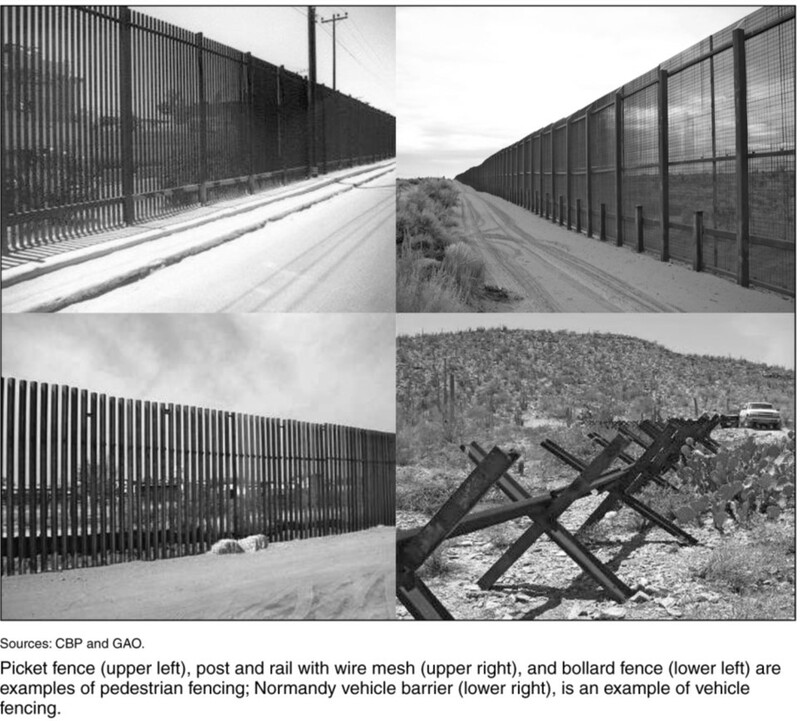 Even with the Real ID act eliminating the need for all environmental and cultural work on the border the Customs and Border Patrol still conducted environmental and cultural heritage surveys (you can read short reports at the link). Not, just on the wall but on the support roads too. I couldn’t find exact numbers but rough back of the envelope calculations of mine puts 80-90% of the border surveyed. I couldn’t find mileage for the support roads but most of them appear to have been surveyed. Unless Trump goes for a wall on 100% of the border, which he has said he won’t do, then “The Wall” won’t destroy many site archaeological sites as they have already been dug or the roads moved around them as part of previous project to build a “Border Fence”. It too was a mix of fence, walls and vehicle barriers. Actually half of it is Normandy style vehicle barriers and not meant to stop people. If the land was too unsuitable to support a fence then it won’t support a wall. “The Wall” is only likely to replace fence and not cover new areas. Now with CRM we usually resurvey areas because you never know what will pop up. This is not because the first archaeologists who conducted the survey were incompetent but shifting sands and erosion always reveal new sites. So inevitably some undiscovered sites will be destroyed if no archaeology work is undertaken but not many. Really, the impact of “the Border Wall” will not be the impact on a few potentially un-discovered sites, (in that case not too bad for archaeology) it will be how the Trump administration deals with heritage aspects of the project. Like the promise to save jobs in Indiana, the “Border Wall” was one of the few tangible promises made by Trump and one that will make a good photo-opp. Rather then the complicated and un-glamorise task of writing legislation it could also be accomplished relatively soon. I suspect “The Wall” will be the soonest example of how the new administration will handle heritage. It will be a harbinger of things to come. The Bush Administration did not have to conduct any environmental or cultural work and yet they still did the work. Will the Trump administration do the same? Or, as I suspect will happen- will they be involved enough in the details of the construction to even know there are cultural heritage laws or will the civil servants manage it as they always have? Your thoughts? Good article. You actually mention that the wall-fence already exists and the NEPA – NHPA work has already been conducted. Given that I live on the border and work for a Tribe ( I am the CRM and archaeologist) that has the fence (actually in our case post and rail and normandy barriers) and having been the person that worked as the liaison between the Tribe and the Border Patrol, I feel like I actually know what I am talking about. For the majority of the border this is a none issue and people are creating a problem that doesn’t and won’t exist. Hi Doug. Long time, no talk friend. I hope you are doing well. Actually, I am more concerned about the wider scope of bad things that could happen beyond the “wall” of just one project. Because Trump is a land developer—one of the kinds of people CRM companies often do work for—I would like to know how the Trump Organization dealt with CRM compliance issues (statutes and regulations) on their many projects here in the United States. I know a lot of those projects were privately funded, but some must have butted up against NEPA and NHPA. Trump undoubtedly knows about CRM if any of his projects have butted heads with NEPA and NHPA. Examining what happened might be very instructive with regard to the way the Trump regime and the All-Republican Congress will deal with archaeology and cultural resources in out years. You will recall that the Bush administration in concert with another All-Republican Congress (2000-2006) tried to legislatively gut NHPA—but failed. This time the primary election mandate and emphasis is on “draining the swamp.” Trump has already made it quite clear that what it considers to be unnecessary past statutes and regulations are a part of the swamp that is to be drained. As professional archaeologists, we care about historic properties because it is our job. Other people—not so much. Hell Doug, my own son (age 15) and my daughter (age 22) tell me that they have no use for archaeology and history because they are boring—and we all get along!!! It is not a matter of passive aggression—and God knows they have been exposed to enough of it in school and certainly in growing up here at the house. They just don’t like it. With tens of millions of other people out on the American landscape with that same attitude, I really wonder whether NHPA, NEPA, ESA, etc. are in for a really big hit over the next four or eight years. I know people in CRM are taking a chin-up attitude that everything is going to be okay—and i hope it will be. However, I am not nearly as optimistic as many archaeologists are. We will just have to wait and see. When January 20 rolls around and Trump is inaugurated, we will need to start watching closely for the signs and omens of things to come. Those who fail to heed them will be the ones most likely to be left out in the cold. In a reply to a post about this subject on the Facebook page for the Tennessee Council for Professional Archaeology, I recommended that American CRM archaeologists should go ahead and start thinking about and planning for a “Career Plan B” just in case the worst sets in on us over the next eight years. Some say this cannot happen, but it has already happened to me here in my hometown. The environmental industry that I worked in for nearly 30 years has gone belly up as a result of the Congressional Sequester and finishing some large-scale environmental projects. My boss at my last job (three years ago) kindly told me that the environmental industry had gone away—and it was not ever coming back again like it once was. I believe her now. Three years of talking to people and sending out resumes every damned where—no luck. Archaeology was my Plan A after college in the depths of the Carter economic crisis. I ended up settling for environmental science as my Plan B. Now at age 64, I am working on Plan C (just not sure what that is yet). Sometimes you just have to turn around, look the monster square in the face, and deal with it. Hi Tracey, Long time. I have only seen one anecdotal story about Trump and archaeology and that person never claims to have seen Trump just that someone in a limo stopped by a site. Despite his claims of knowledge he is a land developer and from what I can tell has very little experience with any actual work. I am not sure it is even on his radar. There is one positive quote from him about Historical Preservation i.e. it allowed him to charge more money for a building. My impression has been the exact opposite, most archaeologists I know in the US are looking for plan B. Most assume CRM won’t be around for much longer. I am not saying it will be a bed of roses but I look at North Dakota and see hope. Environmental laws are in place because rivers literally caught on fire. Cultural laws are in place because people got upset iconic buildings and cemeteries were their parents were buried were destroyed. Despite what the opposition says they are there for a reason. Moreover, both are quite useful to rich folks. Want to keep those nice views from your house? Well there are laws to keep that developer from building a highrise that will block your views i.e. environmental and cultural heritage. It is a useful tool and I suspect gutting them will cause thousands of battles and a few big high profile ones like North Dakota which will keep them alive in some form. Then is a few years the government will change. It won’t be a complete wipe out but the next few years will be a real struggle, maybe. Trump has said so few concrete things and backtracked on almost everything. Meanwhile the Republican party is having a civil war and now no longer have a scapegoat to explain why after six years they haven’t got any plans about health care (but really insert anything). It will be interesting times but I think people give too much credit of competence to the incoming government.